In the many years the 505 class has been in existence, a number of builders have built 505s. 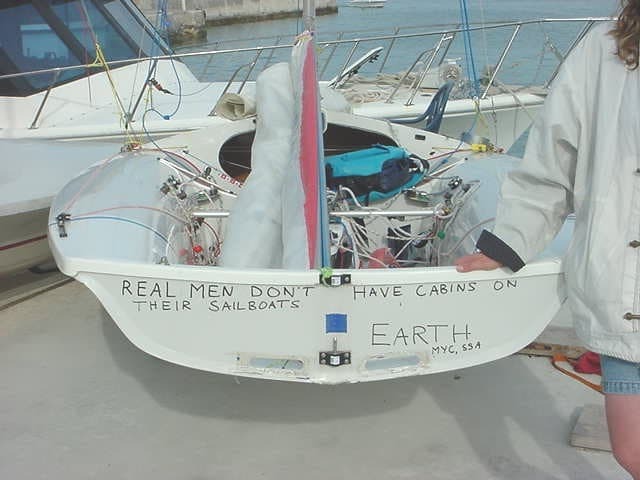 Boats have been home built as well. The following article attempts to list all known 505 builders and provide a brief description of their 505s. 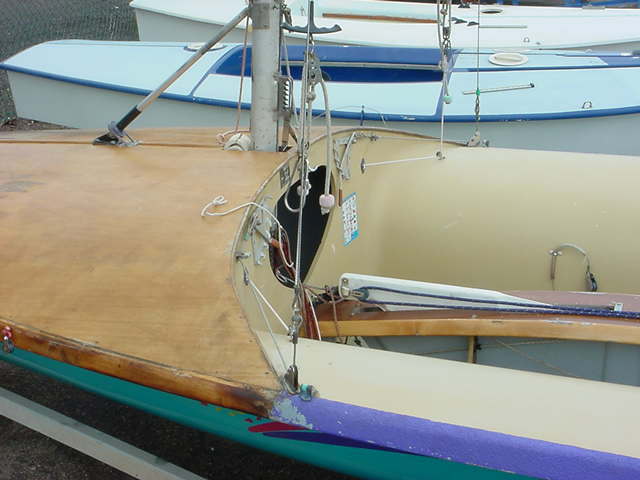 In many cases comments regarding the construction and quality of these older boats are from long time 505 sailors. I am sorry if I unfairly malign some builder’s 505s. I do not have first hand knowledge on most of these builder’s 505s, but relied on what other people told me about them. 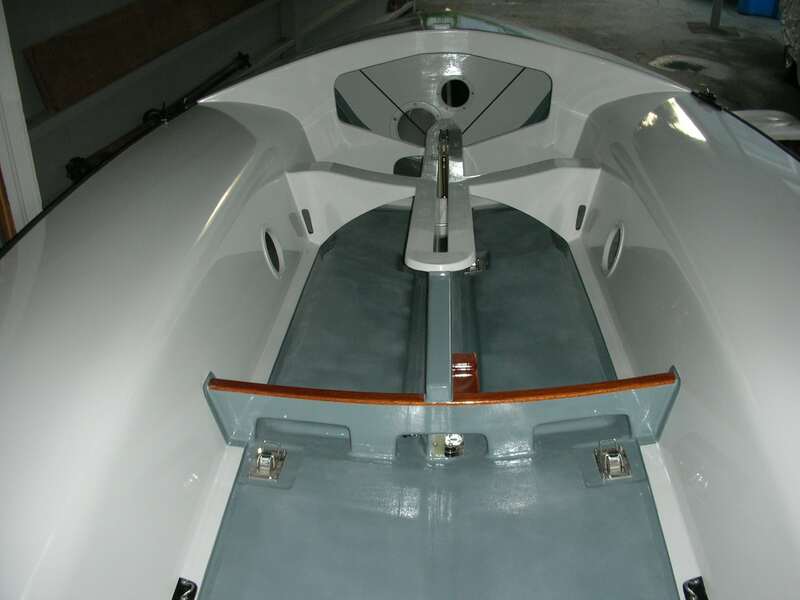 Switzerland, copy of Waterat, with some subtle interior differences; the hulls are straight copy of the Hamlin/Waterat. A foam core and a honeycomb core version are available. Epoxy resin. 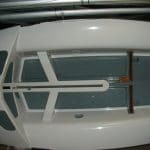 Fremantle Australia, carbon pre-preg, honeycomb cored model available. Hull shape based on a Van Munster with changes to hull shape and a different style interior. A less expensive wet layup verson is also available. Pre-preg boats are painted not gelcoated. In the 2000’s, Freematle moved their moulds to the far east (China?) 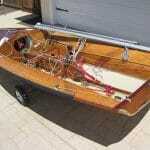 and began building boats under the XSP brand. 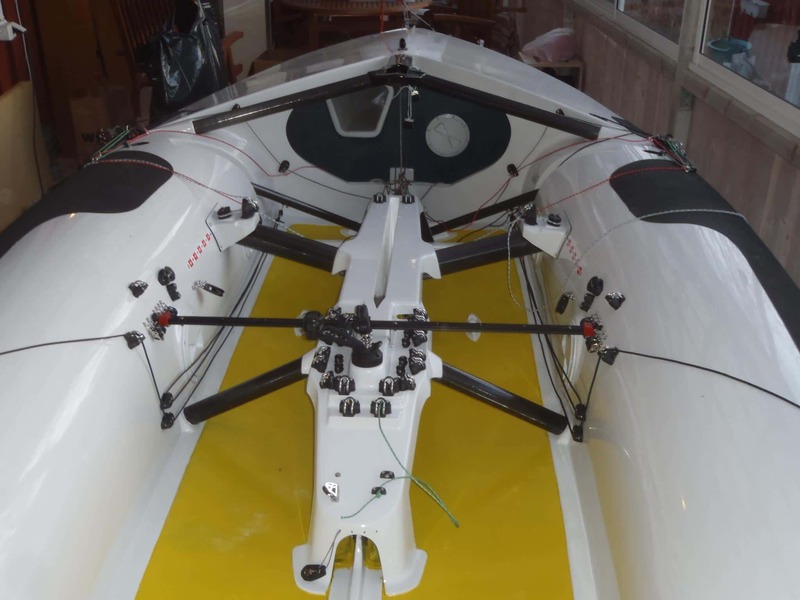 As mentioned in the Rondar Raceboats section below, Ovington Boats built 505’s from the Rondar tooling for a majority of the 2000’s into 2014. 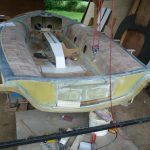 At that time, the moulds had significant wear and a rebuild of the tooling was required, as new boats were beginning to have measurement issues. Rondar elected to take back their moulds and begin building their own boats again. 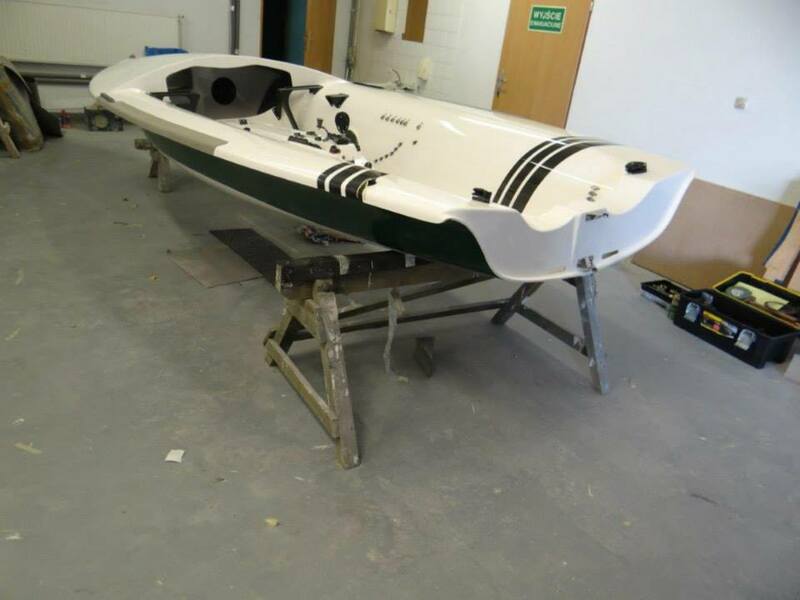 Holger Jess of Germany worked with Ovington Boats to develop a completely new 505 design. 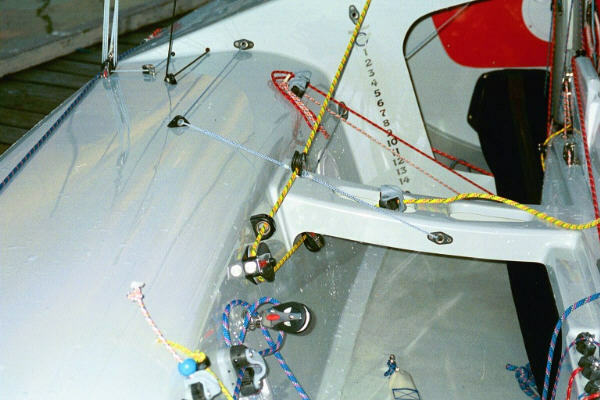 Holger had built a solid business of fitting out the Ovington Rondars and with those moulds now back at Rondar, Jess wanted to continue to work with Ovington as the source for the bare hulls for his rigging business. Parker dominated class for the late 60s, 70s and 80s. 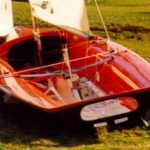 Parkers made a whole range of boats, the earlier boats had GRP hulls and sidetanks with a wooden foredeck and centreboard casing. A limited number were built with wooden side tanks. Later boats – starting around 58xx were all GRP (though a few boats with wooden foredecks were still built) and had type numbers (Type 24, Type 25). 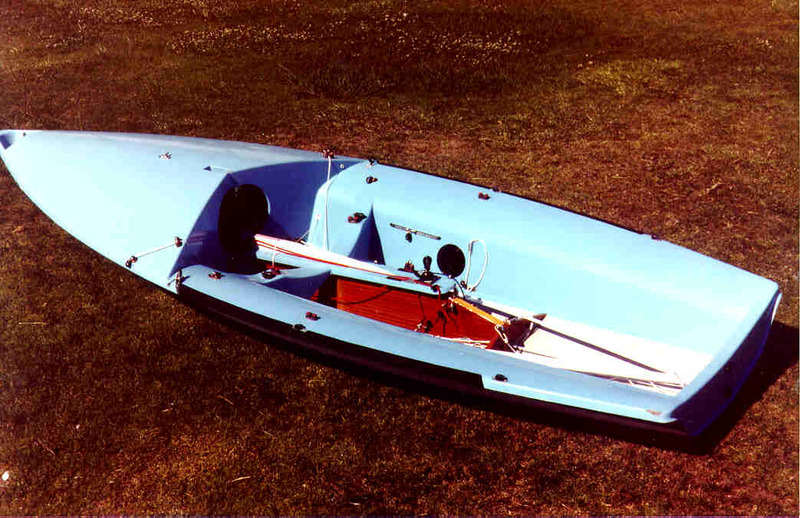 Some of the Parker boats were built with either Kevlar and/or carbon reinforcing, and several boats were built with partial honeycomb cores. Parker 505s won most if not all World Championships during the ’70s and early ’80s. The North American 505 fleet at the time was built primarily on imported Parkers and Rondars. Some models and batches of Parkers were very high quality, a couple of batches of them were not. 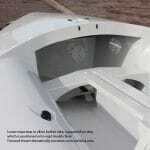 Hull and side tanks constructed from a balanced laminate and closed cell foam core throughout with polyester resin. 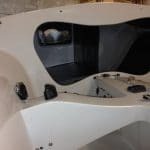 the floor, hull and crew area of the tanks make use of 8mm PVC, whilst the hull topsides and aft end of the seat tanks use 5mm PVC to keep the ends light and the weight concentrated lower down. 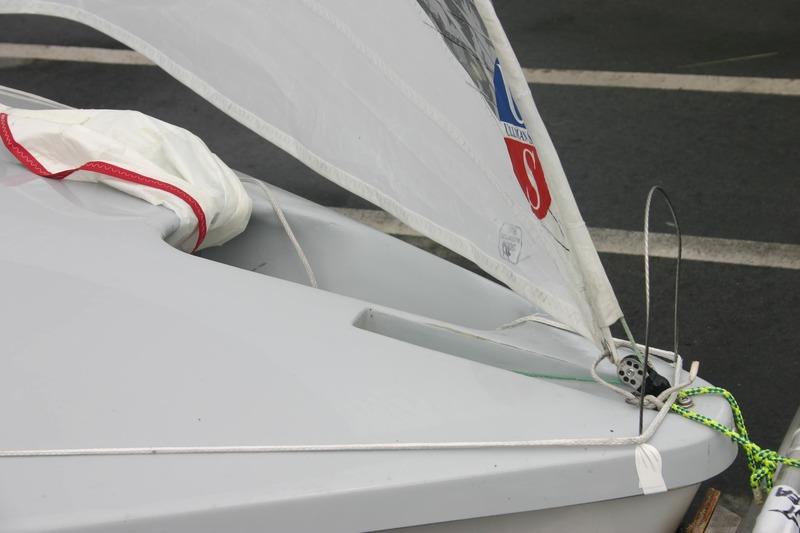 The centreboard case top, thwarts and foredeck are also fully cored. 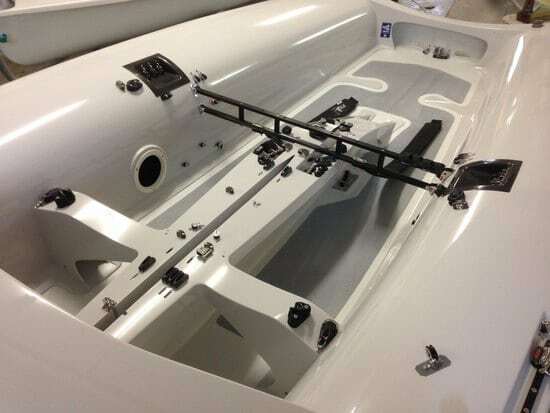 There was an option for shroud plates or tubes to enable a fully adjustable shroud system to be installed. 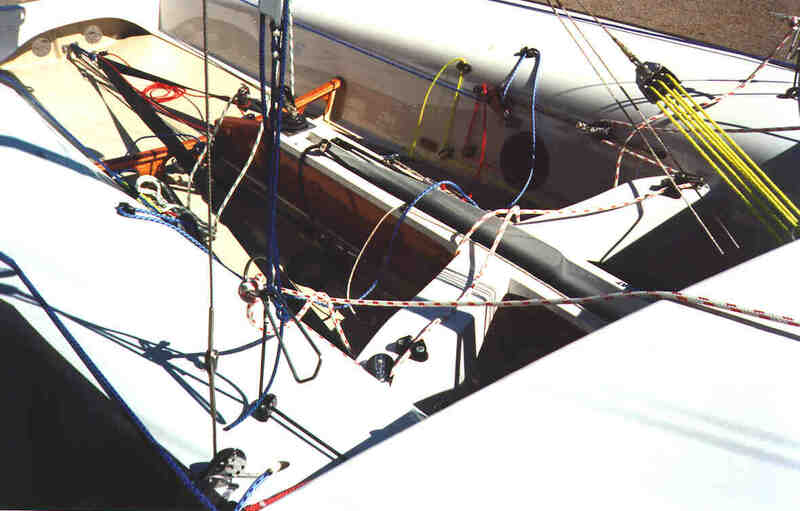 The 1992 specification (Type 25 Mark II) included carbon and light alloy reinforcing in the rig areas and a modified hull layup incorporating different foam densities and Kevlar. 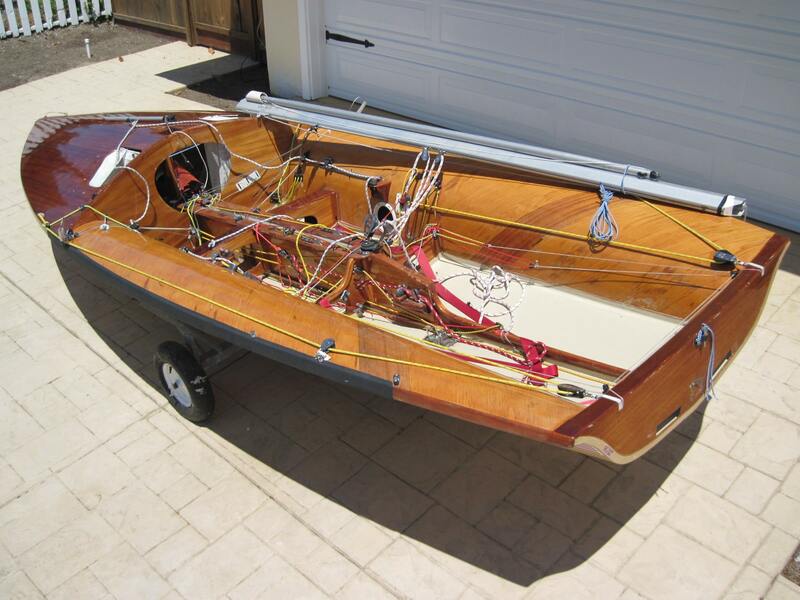 After a long hiatus from building boats, Bruce and David Parker introduced a new boat design in 2012. 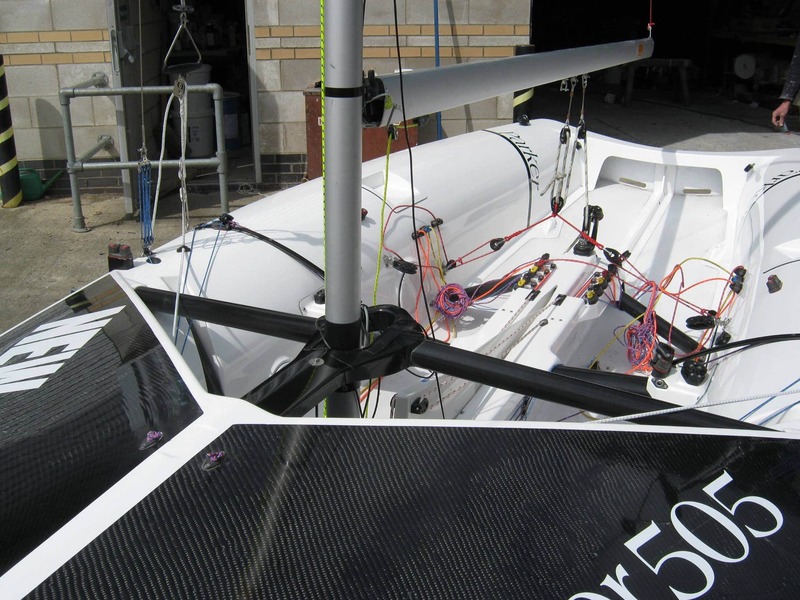 The protoype boat was showcased at the 2012 Worlds in La Rochelle where they solicited input from the class’s top sailors. For the first production year in 2013, they made some changes to the design based on input they received from the prototype. 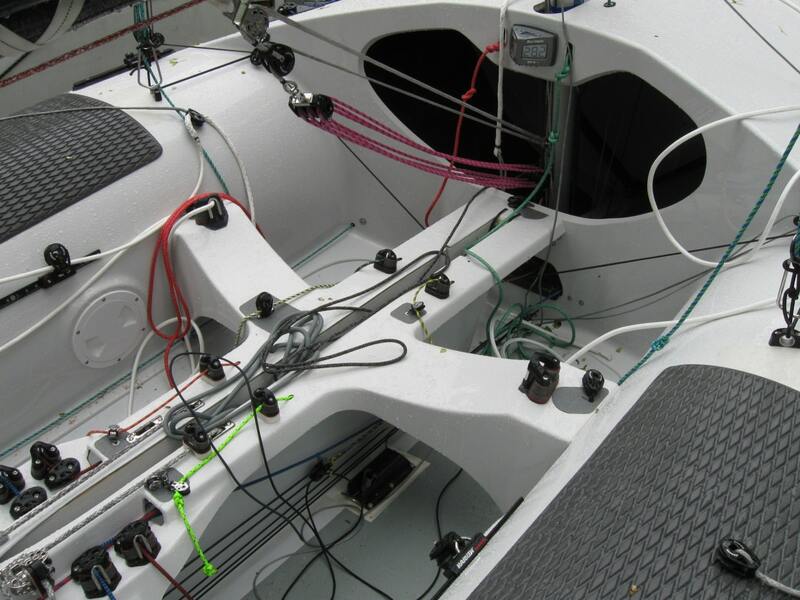 Boats are available in a variety of models which range from bare hull to fully rigged and ready to race. In 2013, the first 505 hull has been built in Poland by one of the leading polish boat-builders. Hull has already passed the first class measurements. 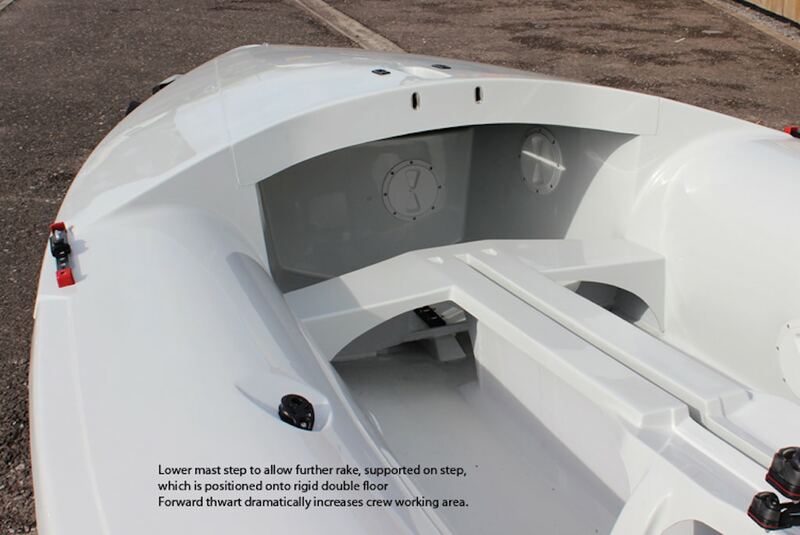 Boat will be available in a few options (depends on hull material and fittings). 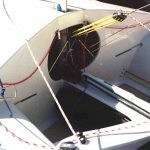 A few highlights in regarding the hull: side-launcher (to get an additional advantage going upwind), wide spinnaker tube to fit monster spinnakers, clean design to make crew’s work more comfortable and efficient, strengthened forward bulkhead, additional bulkheads in the tanks for hull stiffness. Full carbon/epoxy version will also be available. UK, 1960s-present (Milanes & White 1982-1985). 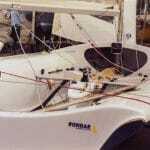 In 1982 Pete White and Phil Milanes, both 505 sailors, (of Milanes & White) bought the Rondar 505 moulds and started making 505’s. In February 1985 Rondar Boats and Milanes & White merged. 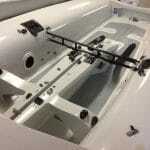 Since July 1987 Rondar Boats has been based at Melksham in Wiltshire. Rondar built different models over time, some with wooden foredecks, most all plastic. From the 1960s to 1992, Rondars were polyester. In 1992 at about 505 8300 they switched to epoxy. In 1992 or ’93 at number 8400 a new hull shape was introduced, and the same hull shape is used today (8/2003) although the interior layout has been updated a few times, with a major update in mid 2003. 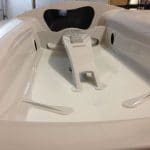 These boats are fully cored, epoxy construction. 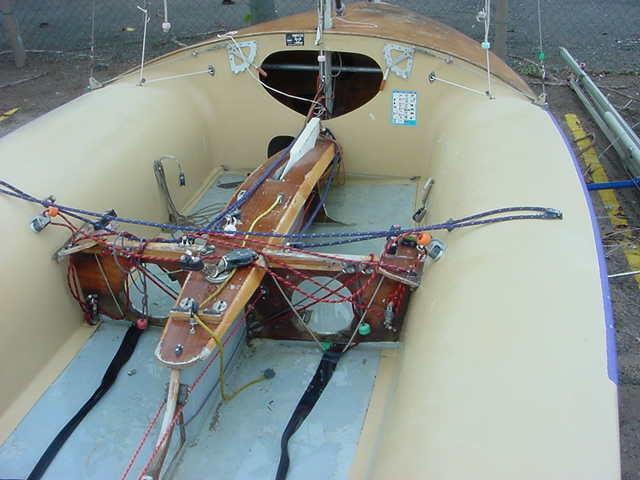 The KISS Rondar was a US rigging spec version built with vinylester resin rather than epoxy. 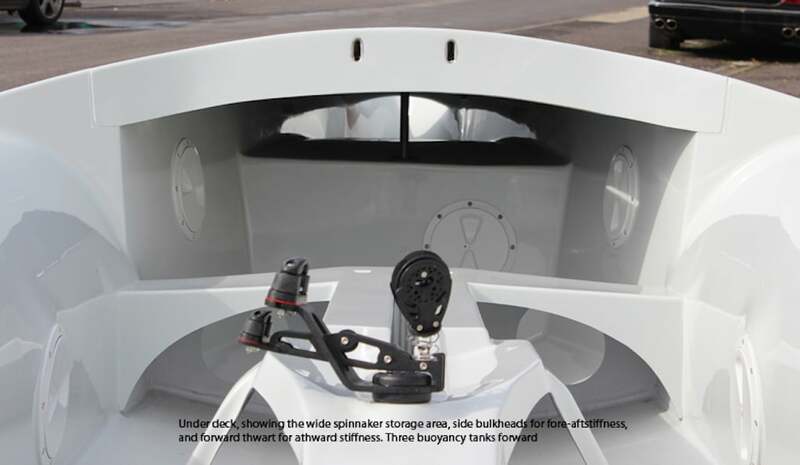 When compared to the previous hull shape, the current hull shape has a sharper bow, narrower waterlines, slightly straighter rocker at station 6 and the plate case as far aft as possible. 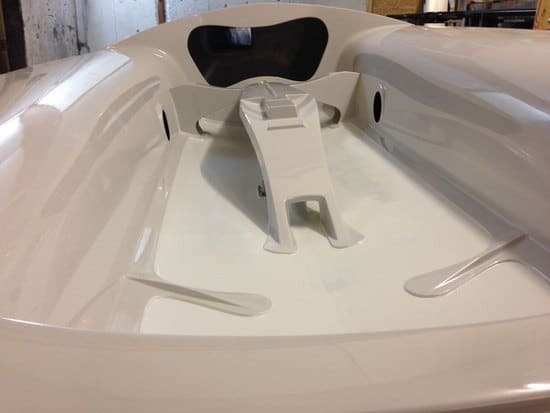 The majority of boats built since the new hull shape was introduced have been constructed using epoxy resin, bi/tri-axial cloth with carbon and Kevlar reinforcing and a closed-cell high-density foam core. 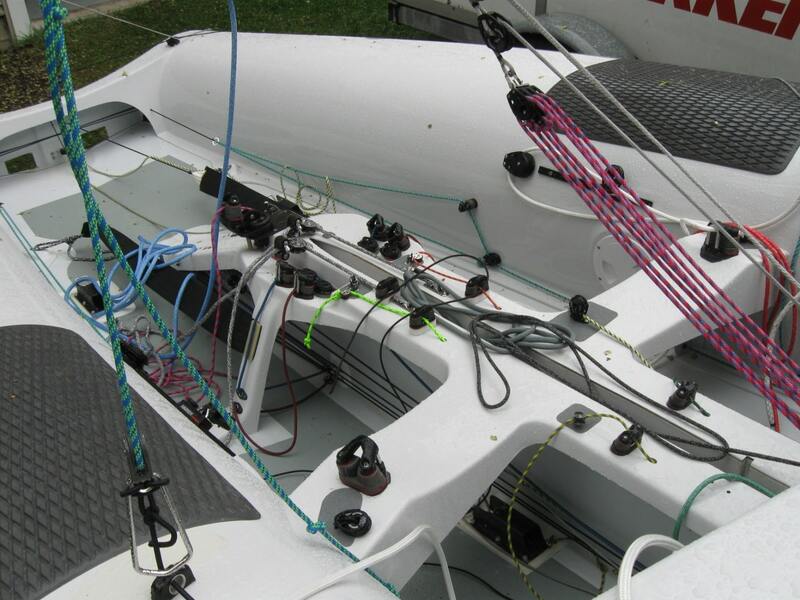 These recent Rondar 505s have won most 505 World Championships since ’92. 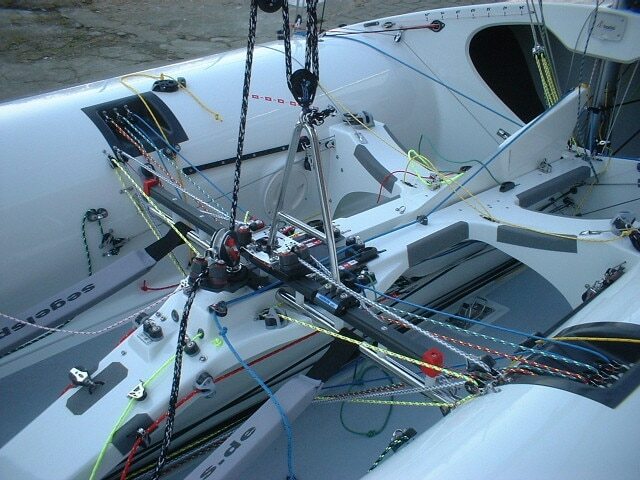 At some point in the 2000’s, Ovington Boats was contracted to build the Rondar 505’s from the latest tooling. Starting around 2004, most Rondars were built using full carbon skins and foam core. 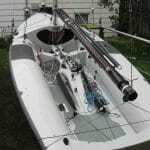 At about the same time, Holger Jess (Segelsport Jess) of Germany began selling fully rigged Rondars to his specification. 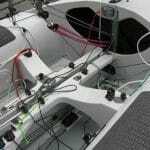 These Segelsport Jess rigged boats have seen a great deal of success at the World Championships and have gained favor especially among German teams. As of August 2013, the latest batch of Rondars began having measurement issues which forced a rebuild of the tooling. 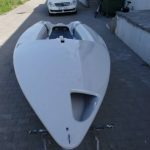 Rondar developed and produced a new 505 design, fundamentally re-thinking the construction process to make the boat less expensive to build. 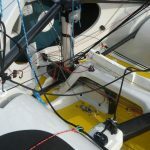 As of 2016, they are still working out some issues with the design in order to make it rules compliant and light enough to rig at or below minimum weight. 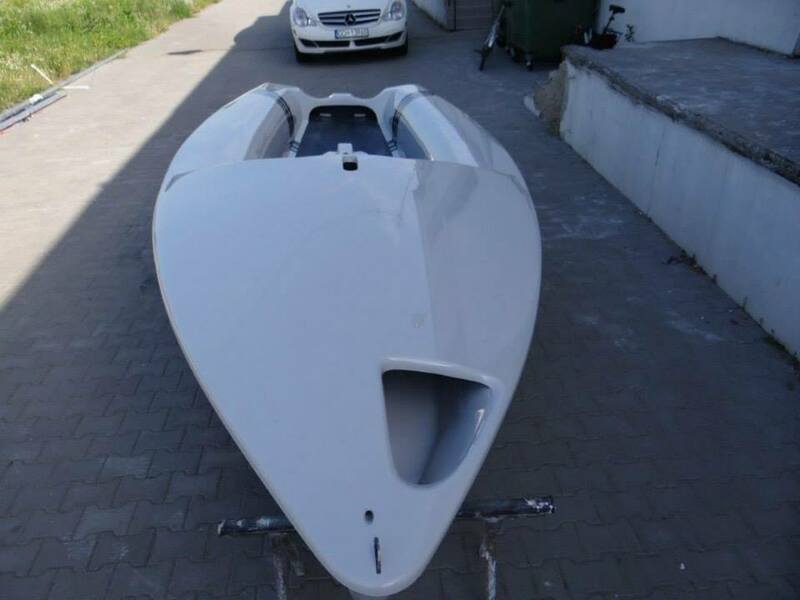 There are several prototypes of this new design, which still features the same hull shape as past boats. Also, Rondar will still build a boat with their previous interior layout for those who prefer that over the new design. 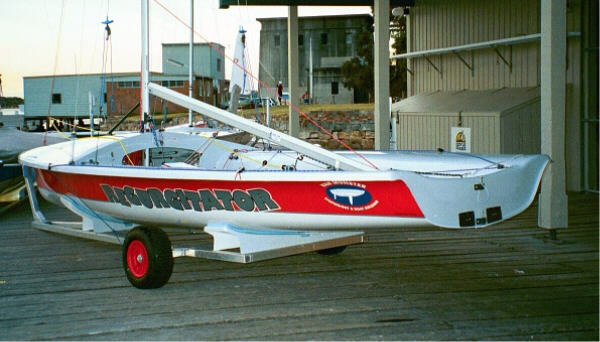 Van Munster is a recent, 1996, Australian builder. It is epoxy/carbon construction with end grain balsa sandwich in the floor. 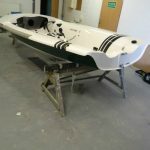 Keith Van Munster has been building foils for 505s for some years now and is a specialist in the use of laminates for boat building. I believe the hull shape was originally Kyrwood influenced, but has since been modified. 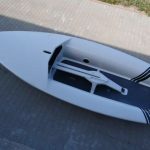 More recently Van Munster has revised their hull and interior moulds and offer a honeycomb cored, all carbon prepreg model. South Australia. Also based on a Kyrwood, but with a rather different resulting shape. Wet layup, fully cored. Buzz Ballenger built several series of 505s in the late 1970s and early ’80s, first near Chicago, later in Santa Cruz CA. 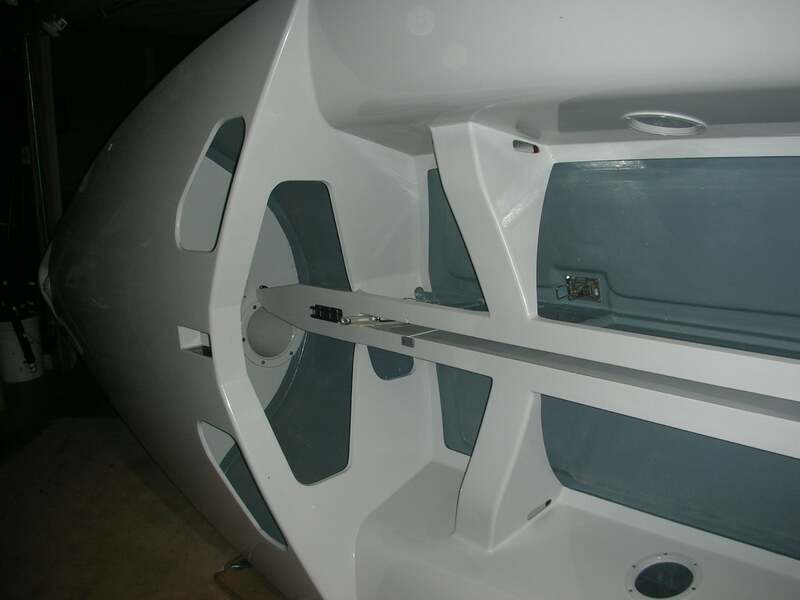 Ballenger changed their hull shape and interior details at least three times in an effort to built a faster boat. The final hull shape was influenced by both the Kyrwood and Hamlin/Waterat shapes. 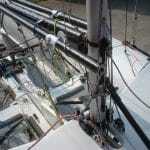 Ballenger sail numbers are in about the 5800 to 7400 range. 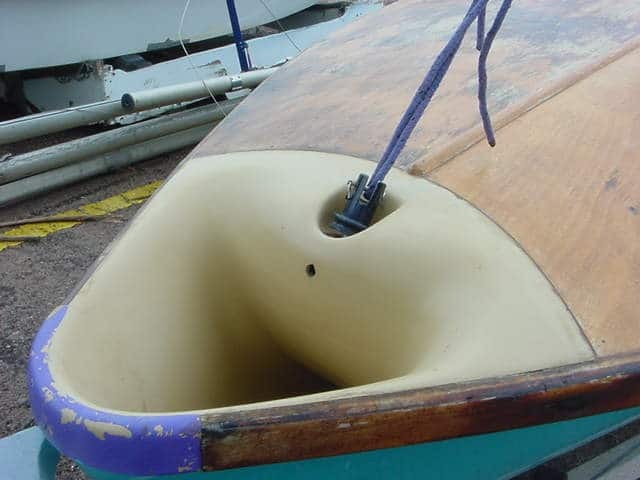 Early boats were polyester and partially cored (airex). Some of these had extensive Kevlar or carbon fiber. 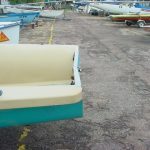 Later boats were epoxy. 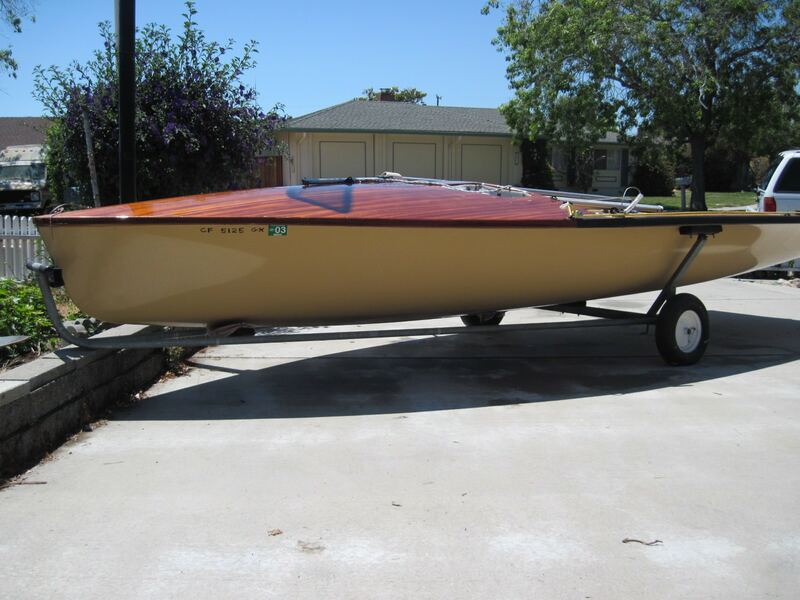 7356 is one of the last Ballenger’s built, and looks to me like a really good boat. It is fully cored, most probably with Airex, had a good interior layout, is quite stiff, and was ten pounds underweight. 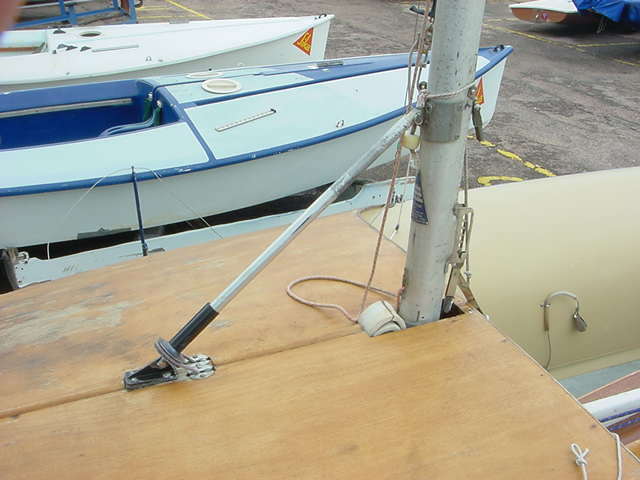 Ballenger was (and is) a mast rigger, so many of the boats came with Ballenger spars. 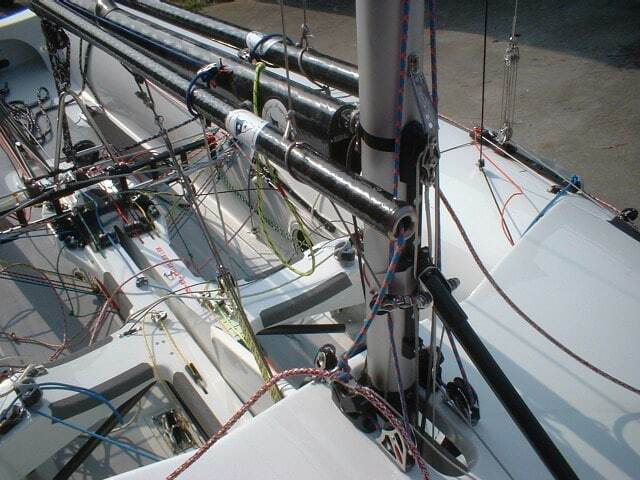 The masts have bend characteristics not too dissimilar to the Proctor “D”, though they were normally black anodized. 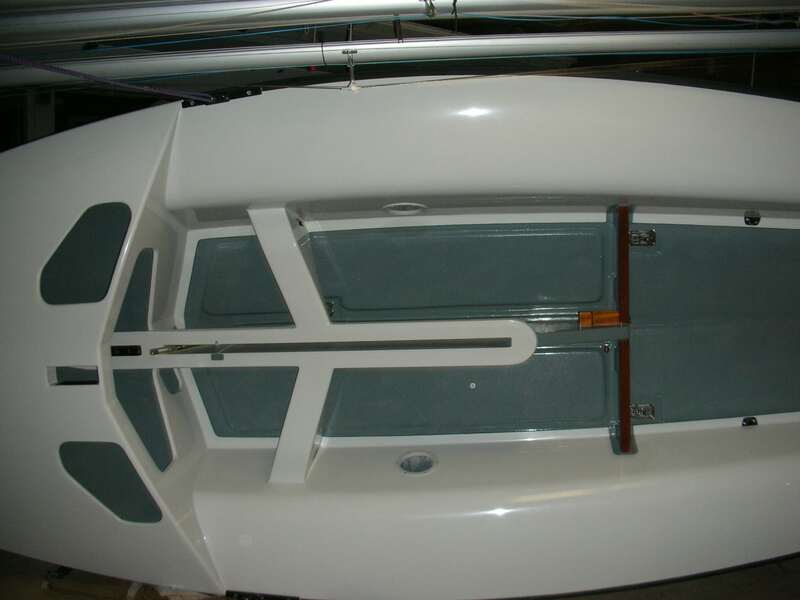 In March 1999, the Ballenger 505 tooling was acquired by Witchcraft boats, an aspiring new builder in Rhode Island. 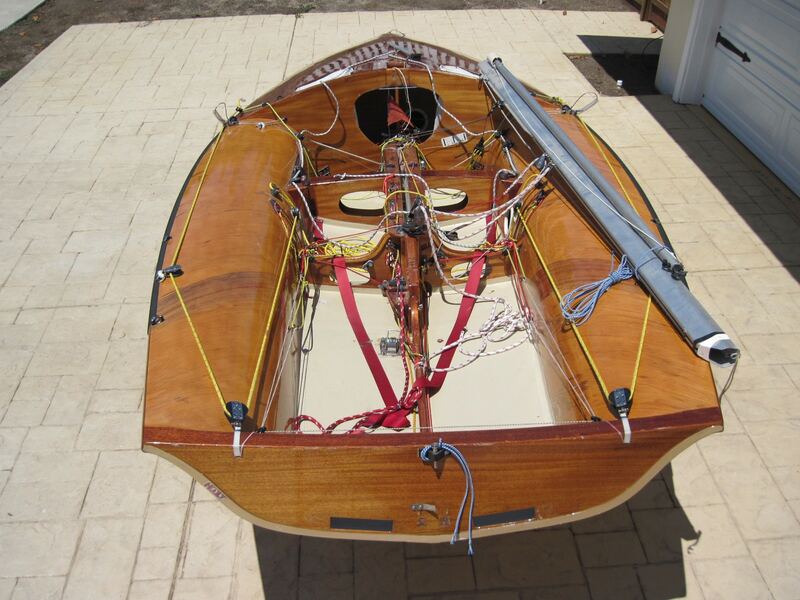 Witchcraft built several boats after updating the interior tooling before they began to build boats of the Mark Lindsay Boatbuilders hull shape. Toronto, Canada. Phil Tillman reports, “I do not know how many he built but at least one [for Steve Kidner].” Bamford could not compete with imported Parkers and ceased production of 505s. 29 Byre Avenue, Paringa Park, South Australia. Production in the 60’s and early 70’s? 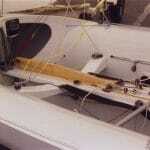 Binks boats won the 1963, 1964 and 1965 World Championship. 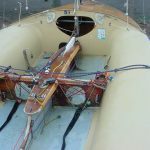 UK, 60s and 70s builder, woven roving layup, not very stiff, low mast step, could not handle much rig tension, not as well built as the Parkers of the era. 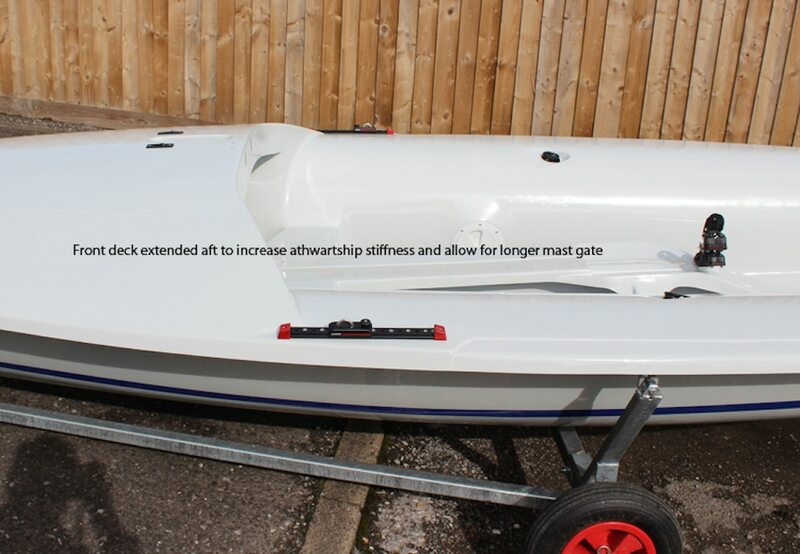 Solid boats though. I have been told the boats have more rocker than we now like, and that the hulls tend to be heavy. Thistle sailor and builder for a time on the west coast. Located in Kent Washington, a suburb of Seattle. Built some 505’s in early 70’s. Not a high class boat. The Collignon 505 has an epoxy kevlar hull build in France (numbers in the range of 8200 to 8500). 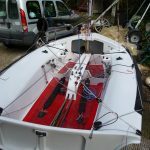 The shape is very close to that of a Kyrwood 505; Philippe Boite and Jean Luc Muzellec have raced Collignon hulls and won the French Championship several times as well as many other events. 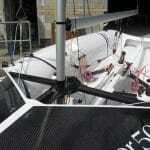 The hulls are very stiff and very expensive on the second hand market. Hot moulded wooden construction, 50s 60s? Some of the earliest 505s were built by Fairey Marine, including all of the very first batch of 505s. Amazingly, some of these all-wooden 5o5s are still around! The photos are of 505s 8 and 21, both in very good to incredible condition. These two and two other very early Fairey Marine 505s are still sailing and occasionally racing in France. In many cases Fairey Marine built the hull shell and the tanks, foredeck, CB case etc. were finished by another builder. 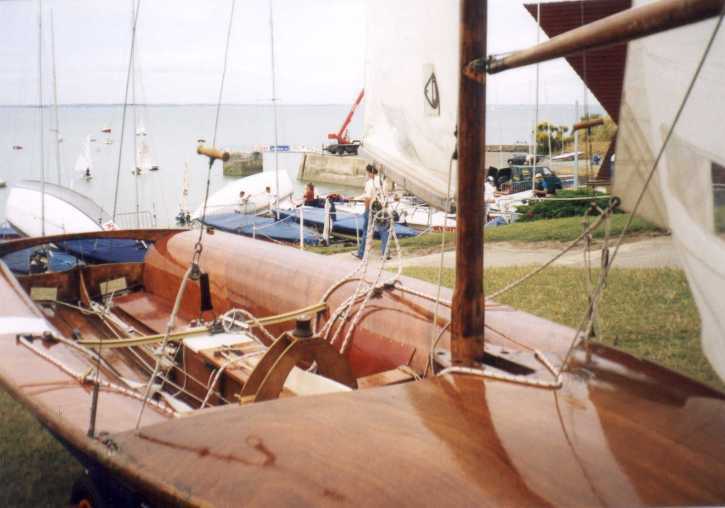 Bob Fischer built five boats from the old Collignon hull mold and a brand new deck mold starting in 2007 in La Rochelle France. 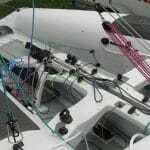 These boats are: FRA 8933, FRA 8969, FRA 8971, BEL 9074, and FRA 9086. 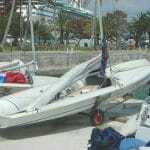 The Fountaine Pajot 505 has a a polyester hull which performs really well in light wind but is not stiff enough to carry the load of our modern rig. 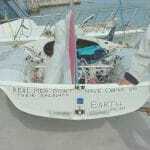 It is no longer built, last hull numbers about 6000. 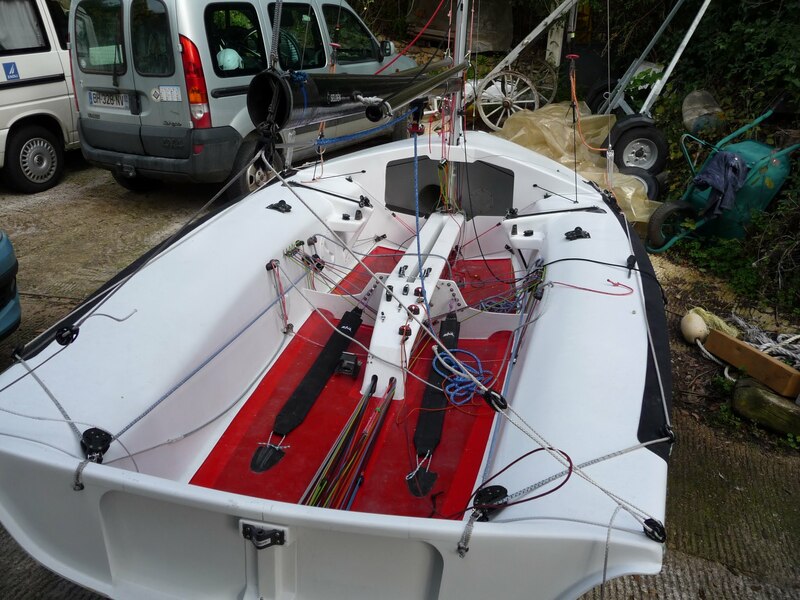 The builder is still making other boats in France though. Moulded all wooden construction. Mid to late ’70s and perhaps early 80s I don’t think many were built. They are still around, especially in France. 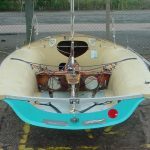 Ashord Works, Fordingbridge, Hants UK – all plastic boat built in the early ’70s. Two or three of them were shipped to North America. One of these met its end when Carl Fast took a chainsaw to it. 3xxx numbers, actually a pretty good boat for its time. Canada – These were built by David Haddleton in Vancouver from about 1965 to 1970, I think they produced a mark 1 mark 2, and mark 3 model. Maybe somebody in Vancouver has more information about them but David and Mike Pope were the hot sailors in Vancouver during that era. USA – 1977-1981. 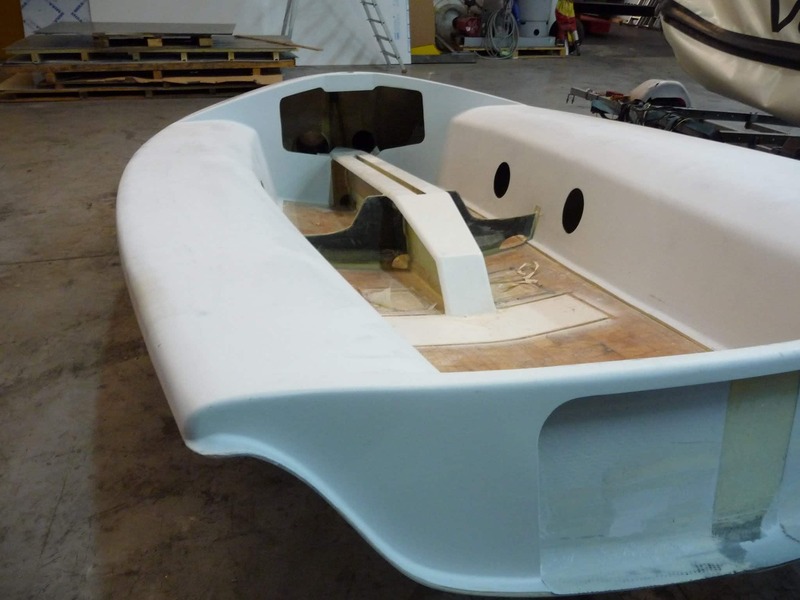 Contemporary with Larry Tuttle and Mark Lindsay building their own hull mold at Mark Lindsay Boatbuilders, and also influenced by the Kyrwoods, Howard Hamlin lofted a set of lines, and built tooling for a mostly plastic 505. 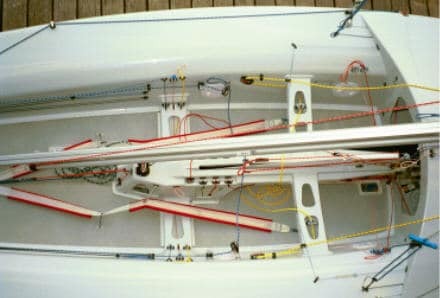 The first two Hamlins raced at the 1978 North American Championship in Toronto, against the first Lindsay-hulled Lindsay. 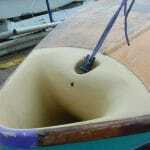 Hamlins were of monocoque construction and were fully cored. 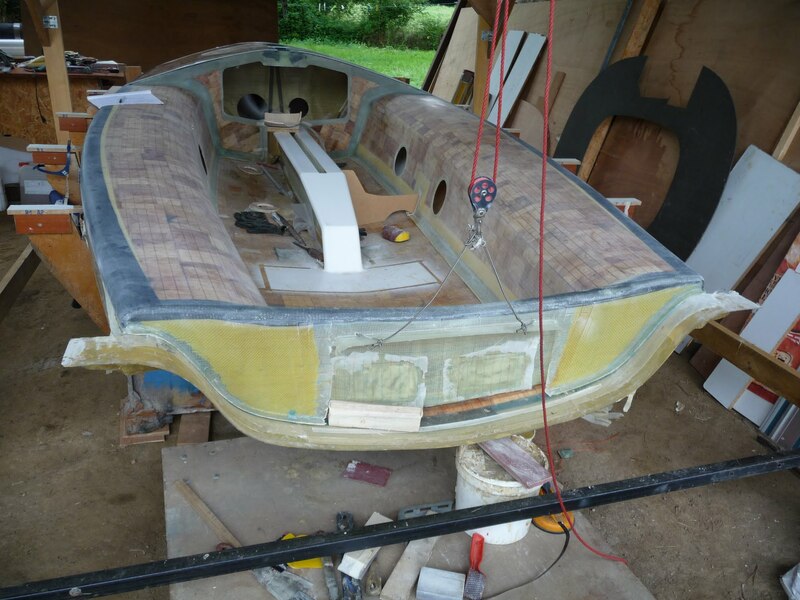 The boats were epoxy layup and initially all-glass. Cores were initially foam. 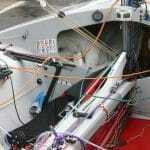 Eventually, Hamlin chose to use honeycomb in place of foam, and for the last two boats, significant amounts of Kevlar. Hamlin ended boat construction in 1981. About 18 were built. Most are still racing today. 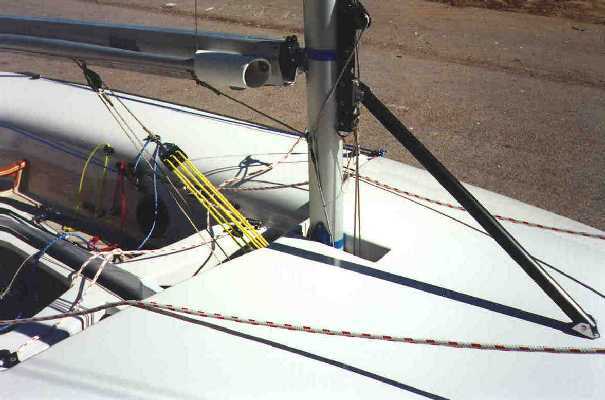 The tooling eventually ended up at Waterat Sailing Equipment, which is still using the tooling today. 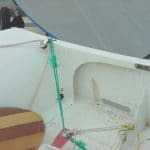 Apart from some layup, core and structural differences, the differences between Hamlins and Waterats are that the centerboard trunk cap is slighly lower in the Waterat, and the main thwart going from the cap to the seat tanks is lower. Australia – recent builder. Similar to Kyrwood shape. Vinylester resin, foam core. Ceased production in 2002. 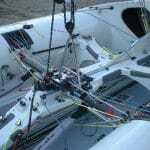 The tooling was acquired by a Swedish 505 sailor and owner of a composite parts company, Karl-Otto Strömberg, in 2003. 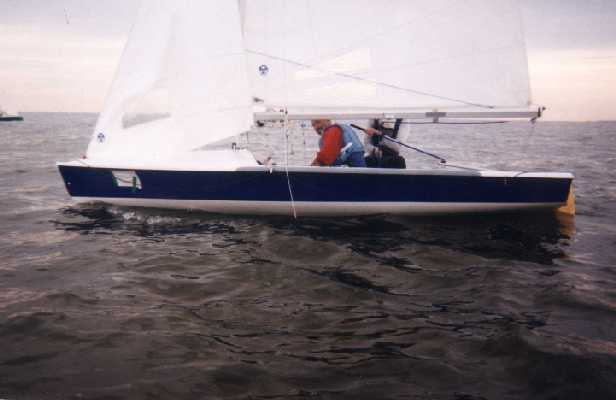 The first Swedish-built 505 (bare hull) was on display at the 2003 World Championship in Limhamn, Sweden. 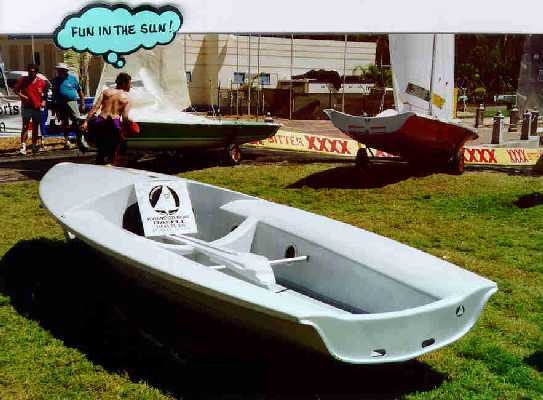 Kyrwood Composites was very active building boats in Australia. 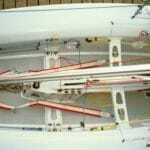 Partly cored (balsa) polyester boats. Kyrwoods have won multiple 505 world championships. 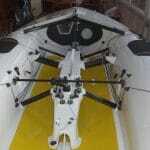 An exotique model with carbon fiber reinforcement was available. 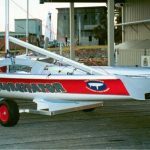 Kyrwood ceased production shortly after the Townsville world championship in 1996 and the tooling was eventually sold to Zegelmeyer in Germany. I do not believe that Zegelmeyer has ever produced any 505’s from the molds. France – Very early builder, until late ’60s. Some imported to the US. 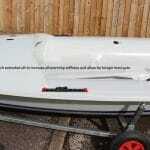 GRP hull wood deck and centerboard trunk etc. 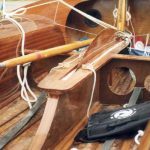 Wood spars. # 157 I believe. Old and not comparable to a Butler of that time. USA, 1975-1990. 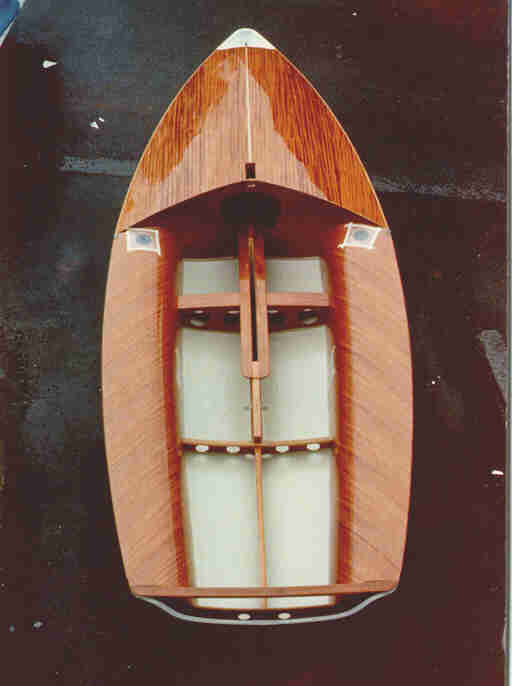 Mark Lindsay and Larry Tuttle and several other people at Mark Lindsay Boatbuilders built 12 wooden-finished boats using Parker shells, based on a prototype boat Larry Tuttle had built on a Butler hull shell (which Larry and Ethan Bixby won the North American championship in). 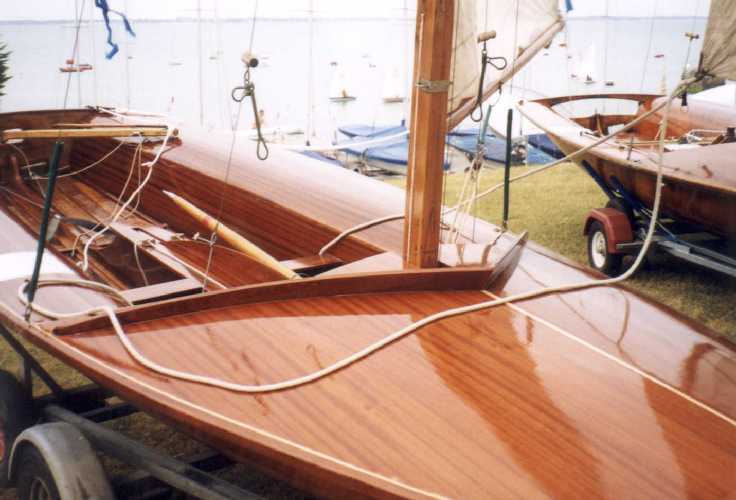 These boats had spruce (later mahogany) cold moulded seat tanks, mahogany plywood foredecks and diagonal bulkheads, mahogany thwarts, centerboard trunk, transom and transom bar. 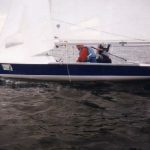 Parker-hulled Lindsays won the ’79 and ’80 World Championships. 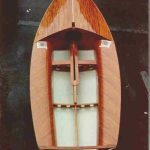 Mark Lindsay boatbuilders then built a plug and a mould which incorporated their ideas on optimizing hull shape – perhaps influenced by the success of the Kyrwood boats – and on hull construction. 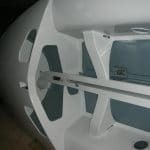 These hull shells were honeycomb cored, glass skinned and epoxy resin. Later, Lindsay went to foam cores with more Kevlar in the skins. The earliest Lindsay-hulled Lindsays kept the cold moulded seat tanks, but these were quickly upgraded to cored construction, with a thin layer of mahogany veneer on top. a Lindsay-hulled Lindsay won both the 1981 and 1982 world championships. Lindsay stopped actively building 505s in 1981, but in about 1990, using a new deck mould, they built one last batch of four or five all plastic 505s. Many Lindsays are still racing, especially the latest batch of all-plastic boats. The Lindsay tooling was acquired by Witchcraft boats in the mid-2000’s and then later went to Mark Angliss in Golden Colorado when Witchcraft folded. Finland – There used to be a Finnish builder in the 70´s who built cheap 505´s. For details I guess you may consult Ebbe Rosén. 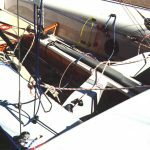 From Leonhard Mader: The hulls of our 505 and of all the other class boats we are producing are exclusively built with a sandwich foam core. 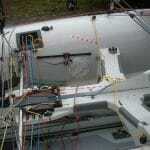 With honeycomb as core material of the hulls we only have got problems in the past. 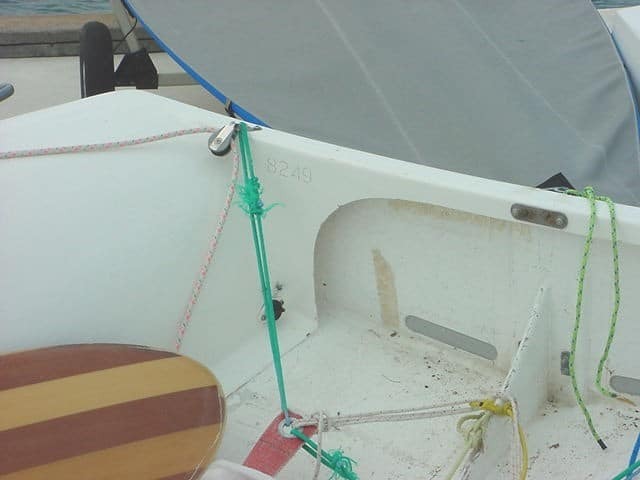 In the underwater region where the boat is hitting the waves in heavy seas there appeared delaminations for the connection between the laminate and the bridge of the honey combs is very small. In contrast to the foam sandwich there are no problems for the laminate is pressed extensively As well, there is no danger of condensation in the cavities. 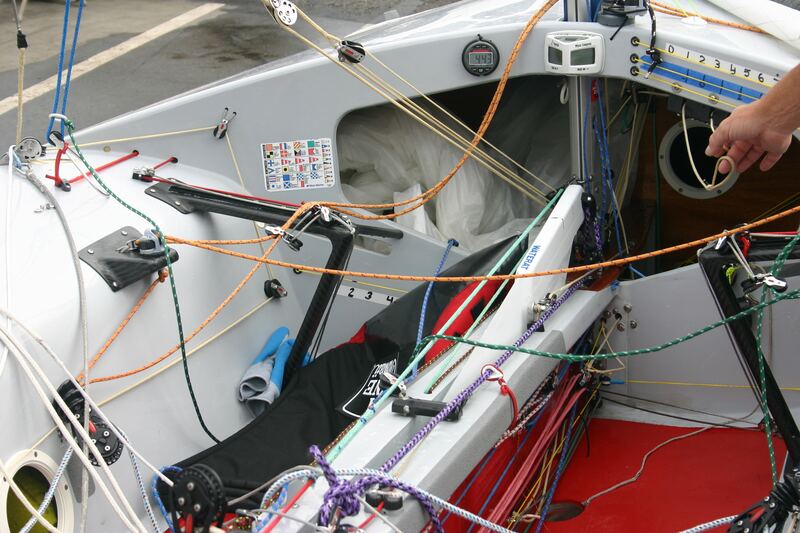 The design of our hulls is from a German boat which was very successful in the 80s and 90s. 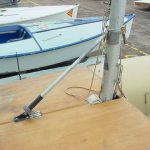 In contrast to the older boats, the keelson (where the maststep is placed) was lowered 15 cm in the newer boats we are building presently. 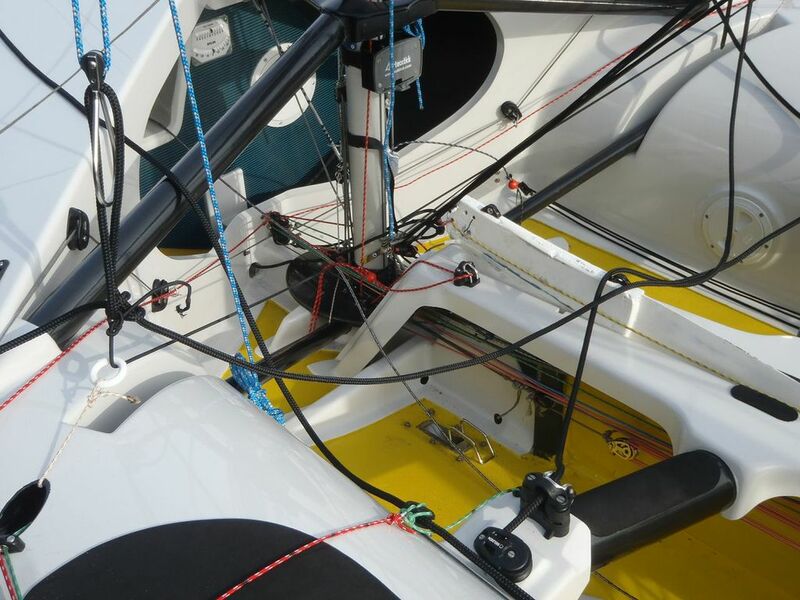 The advantage is that the mast can be longer in that region and achieves a more harmonic bend in the lower region. 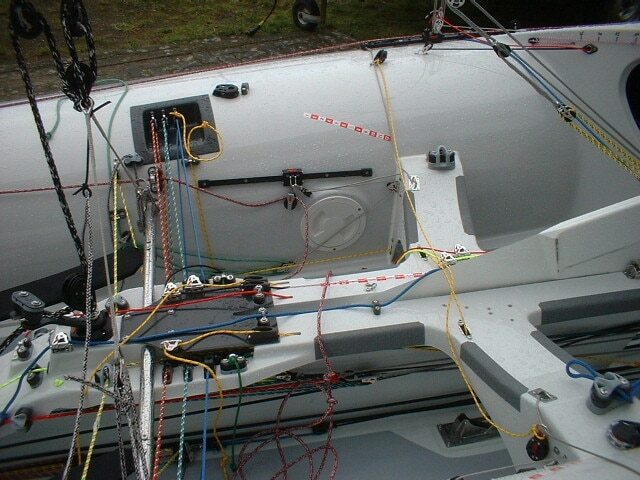 Our boat is sailed very successfully by Stefan Böhm in German and European regattas. If you will like to ask him, please don’t hesitate contacting him. 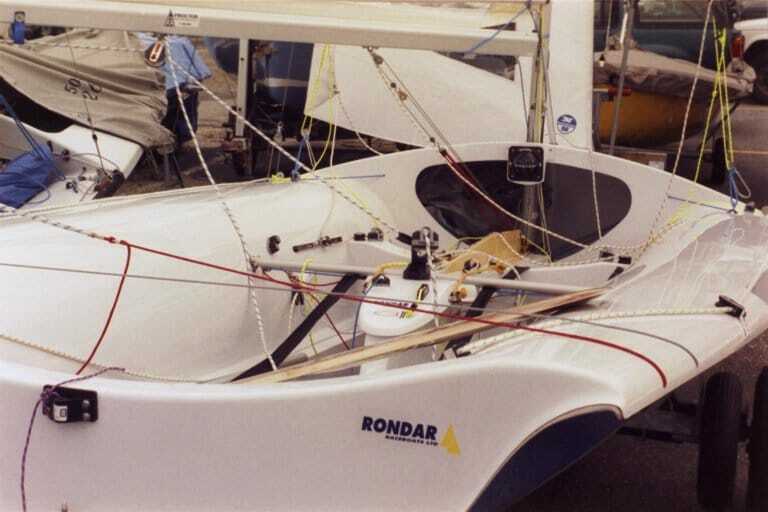 Phil Milanes and Pete White built what is essentially a Rondar 505, using the same tooling that Rondar had used. Esssentially, Rondar was called Milanes & White for some period of time. The tooling and company reverted back to Rondar. USA, early to mid ’70s. 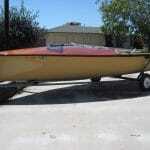 A few early super boats built by Ron Moore of later Moore 24 fame. Some of these boats are still around and sailing. As of March ’99, the Moore tooling is available for someone who would like to build 505s. 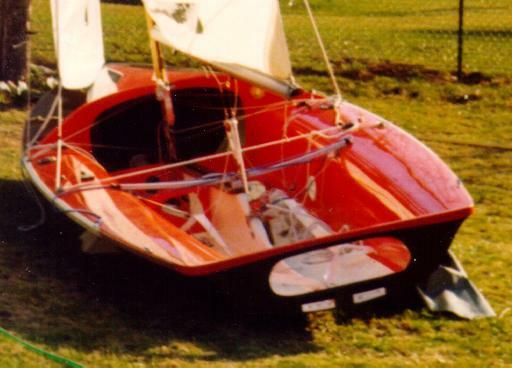 British – Built 3 (I think) boats sometime in the 80’s. 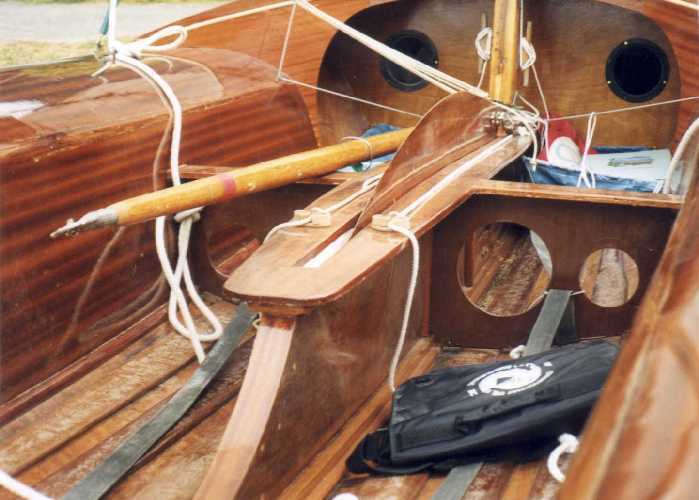 The hulls were epoxy with mahogany plywood decks etc – very similar to the Lindsay’s. Rolf or Ralph Schneider. Canadian, Toronto. 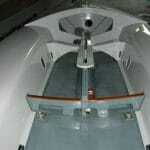 Fiberglass with wooden foredecks. 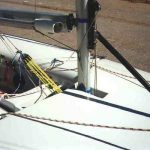 Early sail numbers – eg. 2728 was a Schneider. California builder, building wooden interiors on Kyrwood hull shells. Not sure how many were built; two? 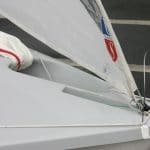 The Skolmen-Kyrwood I saw had a planked foredeck and a lightweight — and fragile — centerboard cap with lightening holes cut in it. This may have been a modification by an owner. USA 1960 – 1972 approximately. 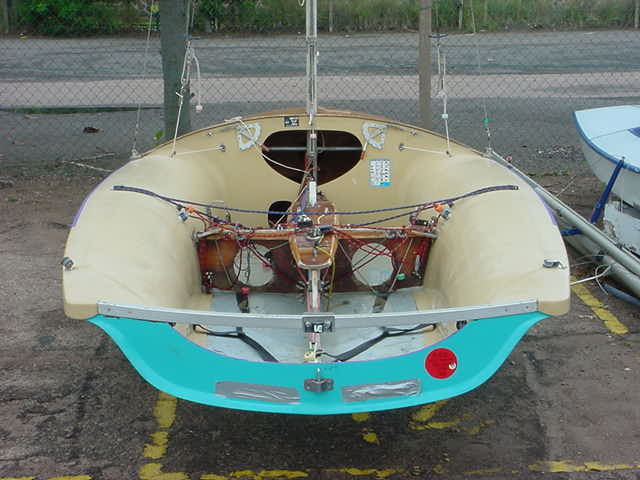 Imported fiberglass hulls made at the Lotus factory in England , finished the boats in wood. Minimum weight, very stiff and competitive. When Lotus stopped building shells, he used Parker shells (I think the last 12 he built). May have used Butler hulls at some point too. UK, late ’70s early ’80s. An all wooden 505, very few built. 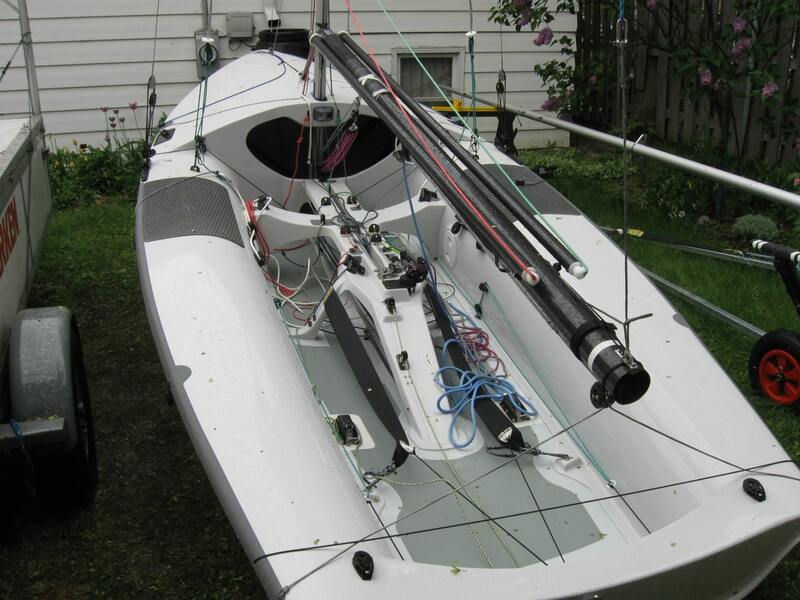 Waterat Sailing Equipment is still in business, but is no longer building 505’s. 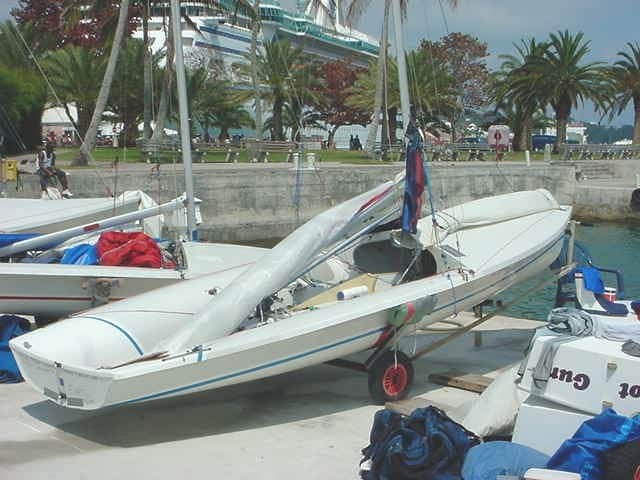 The final batch of three boats was completed in 2012. Waterat was founded by Larry Tuttle, who had previously been a partner at Mark Lindsay building 505s, and had later worked with Howard Hamlin on the Hamlin 505s. 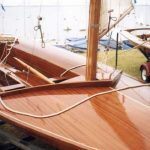 Waterat’s first three 505s were wood and wood veneer finished boats built on Hamlin hulls (the prototype for this batch of three, 7200, Larry’s own, was built on a Lindsay hull). 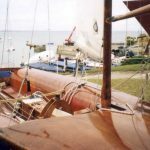 In their use of wood, these boats resembled the Lindsays, except they had cored veneer covered foredecks unlike the plywood foredecked Lindsays, and had oak rather than mahogany veneer on the seat tanks. 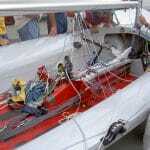 Waterat acquired the Hamlin tooling in early 1983, and began building mostly plastic 505s. 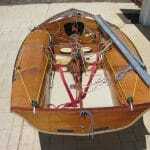 The wooden veneer finished boats were discontinued. 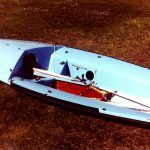 Two versions of plastic 505 were built, a glass with foam core boat, and a honeycomb cored boat with some Kevlar in the skins. 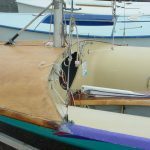 Both boats were built with epoxy resin. Eventually, the foam-and-glass model was discontinued. 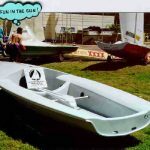 The early foam core boats used Clark foam, while the later ones had a PVC foam core. 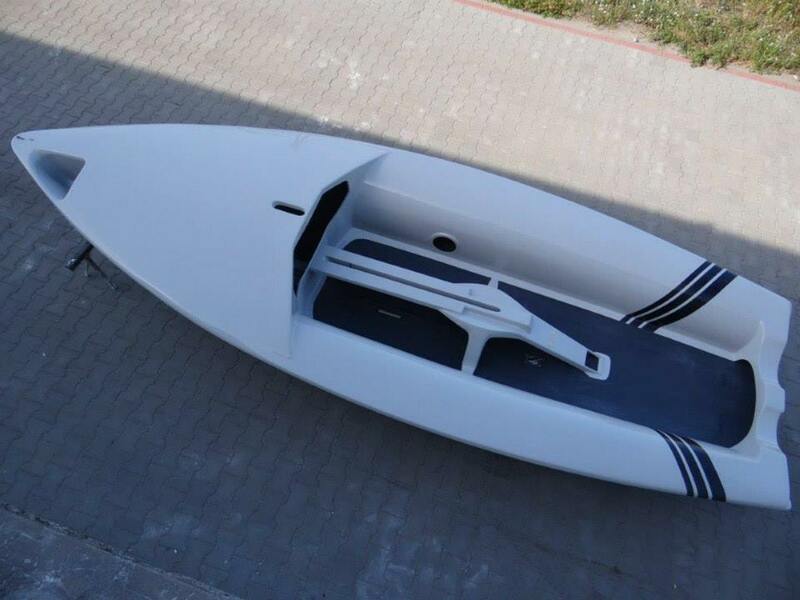 Waterat now builds all boats with epoxy resin, glass & Kevlar skins, and honeycomb core. 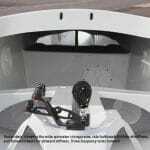 The V2 specification is carbon fiber forward of the shroud chainplates and Kevlar aft of the aft thwart. 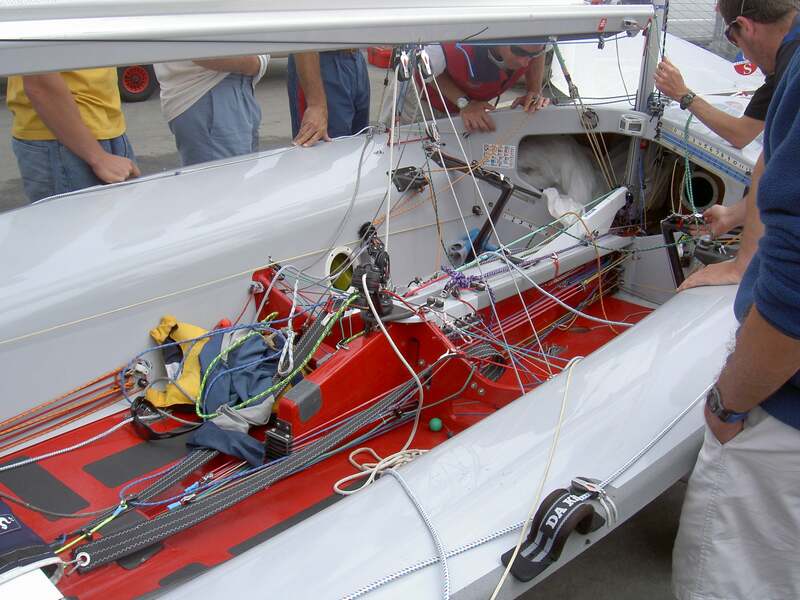 In preparation for the 2004 World Championship in Santa Cruz, CA, Trevor Baylis worked closely with Larry Tuttle to put together the most innovate 505 the class had seen in many years. 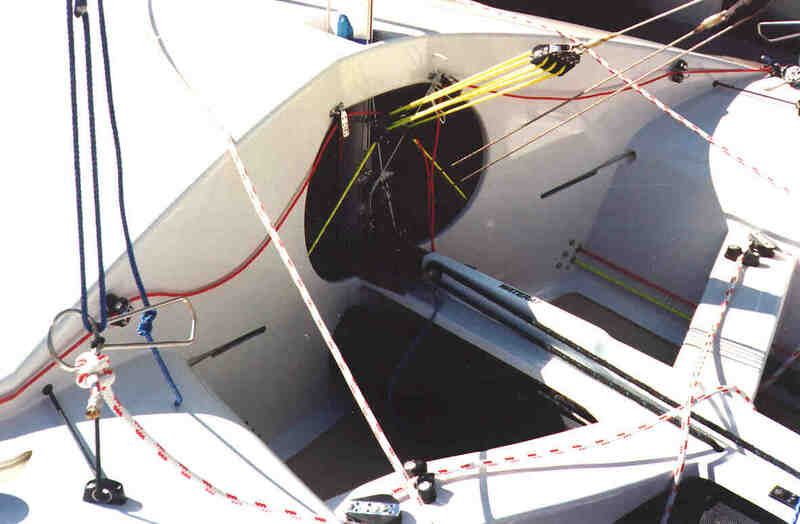 The most notable feature was a offset launcher tube which allowed the boat to take advantage of the forward tack position while still having the performance benefits of the launcher. 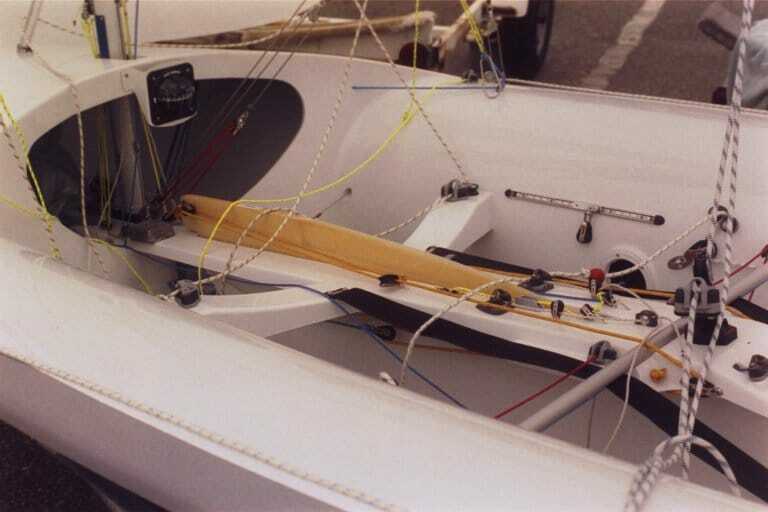 After this boat was built, Henry Amthor convinced Larry Tuttle to produce an offset launcher conversion kit for the many Lindsay, Hamlin, and Waterat bag boats that were still racing. Since 2004, the tack forward offset launcher has gained popularity, as many people see this arrangement as the best of both worlds. 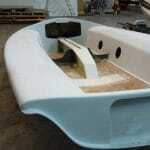 Tom and Geoff Hurwitch built a few boats in the late 1990’s and early 2000’s under the builder name Witchcraft Boats. The first Witchcraft was launched in early 2000. 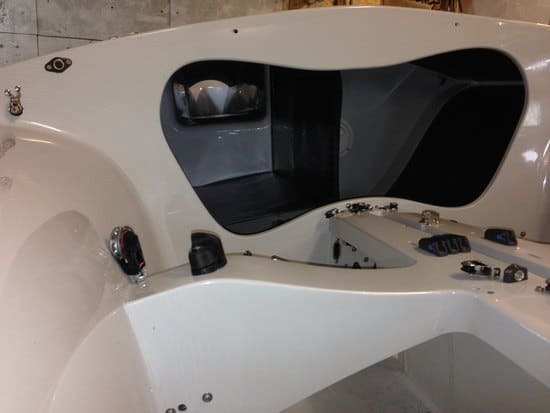 The first few boats were built on the Ballenger tooling which was heavily modified and had an all-new interior. 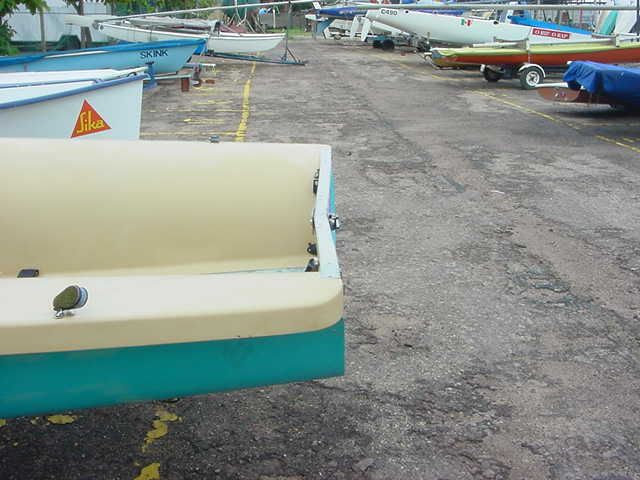 Witchcraft then acquired the Lindsay moulds in the mid-2000s but I am not aware of any completed boats that they constructed from those moulds. According to the 505 registry, there are 4 Witchcraft 505s that have been measured; the first two are likely from the Ballenger tooling, and the last two, 8845 and 8846, have never been seen on the racecourse. Perhaps those were pulled from the Lindsay tooling?